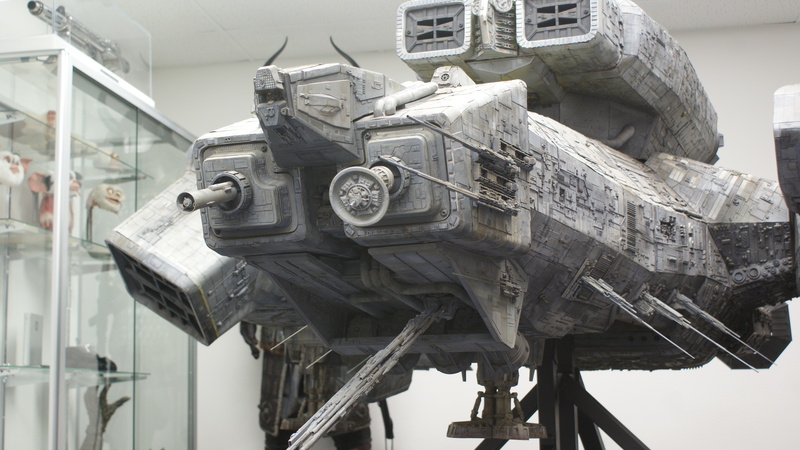 On the topic of the restoration of the nostromo at johneaves.com, I had a couple of questions about the restoration results. I did a quick search to make sure that the topic hadn't been covered already, and yet while some info was available, it did n't cover all. 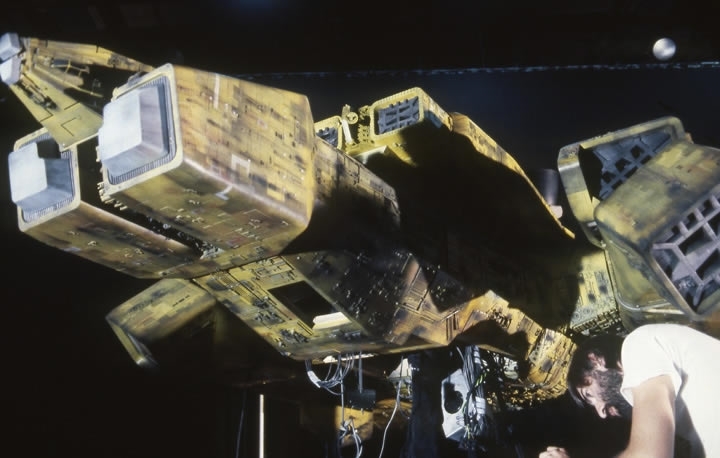 I'm curious as to why a restoration that was clearly meant to rejuvenate our favorite deep space tug made such a glaring mistake with the docking tube at the right front of the nose...was it corrected after the pictures were taken? And I was a bit surprised to find that the panel that holds the front dish is being held on by Phillips screws?? And I was always curious why the three front attitude rockets didn't actually have enough room for the engines/mix chambers. Look at the linked picture and it's pretty obvious that there can't be enough room in front of the exhausts for anything of substance. I've been contemplating the idea of rendering the nostromo bridge in minecraft so that I could walk around it, but details about the positions of surrounding seats, panels etc are hard to find...I'll post images if I take the project on. Lot's of these things have been discussed before in the "USCC Notromo - Discussion thread" Scale Modeling Forum. A few of our members here have tried to fit the interior into the model or by viewing pics of the studio scale set and trying to figure out where everything is placed. Yes, lot's of models have visible screws for easy access to electronics most of the time (back plate of the 35 inch Millenium Falcon for ex.) and no, you wont see them on screen. I've been an avid fan since I first saw the movie on opening day in Toronto (I'm in Michigan now). I actually made a cardboard and balsa duplicate of the bridge (with recessed lighting), shortly after seeing the movie a second time, unfortunately it was destroyed during a move. Even in it's second generation gray suit, I don't recall seeing any such screws on the nose section. BTW...could you folks take a look at this wallpaper and perhaps suggest improvements? I am undoubtedly my own worst critic, but it never hurts to have additional opinions....thanks. I have pictures from all sides... no screws that I can see..
Too bad about your bridge model, I would have loved to see it. Back around 1980, I created a facehugger out of Q-Tips, cotton balls, Elmers Glue, and Felt-Tip markers, It was small and I could wear it like a bracelet around my wrist. Scared a lot of people when I would pull my arm out of a paper bag.... It got real brittle when it fully dried though and didn't survive a move of mine either..
You have nothing to be ashamed of in that Wallpaper.. wear it proudly! My little set was almost three feet long and two or so wide, tiny bulbs were used for the screens and I even had movable (sort of) hatches. Took close to four months to build because the kind of resources we have now, weren't available. I had to go off a movie-book etc. I was thinking that the wallpaper needs something, it's a little plain, but...I can play with the psd file and see what comes from it. I was playing Aliens: Colonial Marines and got to the point where that colony sign is laying in the dirt and it touched my silly bone. It took me all of 10 minutes to slap this together, so quality isn't up to par. Um, considering the topic of this particular forum, would the "General Discussion" forum be a more appropriate place to post images such as the two I've put up here?